Personally I do not believe in ‘teeth bleaching’ unless it is done by a professional ie: a dentist. Not only is it safer, it is however illegal for anyone carrying out the service without a qualifying certificate. So watch out for those dodgy salons! Some home kits have been criticised for not containing enough whitening product or the mouth-guard not fitting the mouth properly. As a result, some of the bleaching gel may leak onto your gums and cause blistering or in some cases, damage to the enamel… not good! So instead of taking this risky manoeuvre I have opted for a much more ‘mintier’ experience- toothpaste. I know thousands of us in the UK use ‘whitening’ based toothpastes, however I personally put it down to a routine too! Since starting my new routine four months ago, I have had so many compliments on how much whiter my teeth were looking. As a self confessed ‘serial tea drinker’- these statements surely did confirm my faith for natural products. So out of the two toothpastes I use, I shall start with the first one. Colgate Advanced White. I like to gently brush my teeth in circular motions for a good few minutes. Then I will rinse my mouth with Listerine ‘Stay White’ mouthwash which will help reduce tartar and stains. 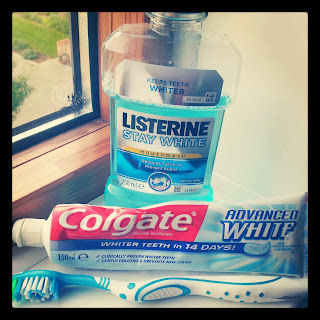 Sometimes (if I am at home around lunch time) I will give my teeth a gentle brush or a swish of mouthwash. This shouldn’t be done too often as brushing your teeth too much can actually damage your teeth. This is only if I have eaten/drank something sugary. 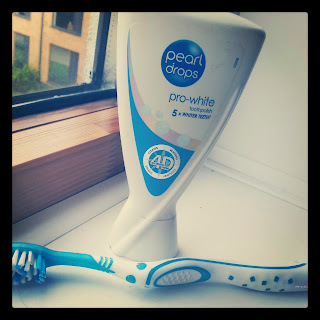 Firstly I will gently brush and floss my teeth in circular motion before using Pearl Drops (pro-white) tooth polish. I personally believe that this product is THE best tooth polish out there on the market. ‘Pro White’ makes your teeth x5 whiter in 6 weeks if brushed x3 times a day. Personally I felt my teeth didn’t need this intense treatment but if your teeth do, then give it a shot! I will then only rinse off with mouthwash if I do not happen to have my Pro White polish. In the summer I usually skip out this this step as I naturally tan quite well. However in the winter months, I like to subtly bronze my face with Garnier Ambre Solaire ‘dry mist’. Darker skin will always make your teeth appear whiter. Usually wearing foundation will make the skin on your face appear much lighter from the rest of your body- so adding a ‘summer kissed’ mist won’t hurt at all. I do not do this everyday only once in a while. Looking orange wouldn’t be natural. 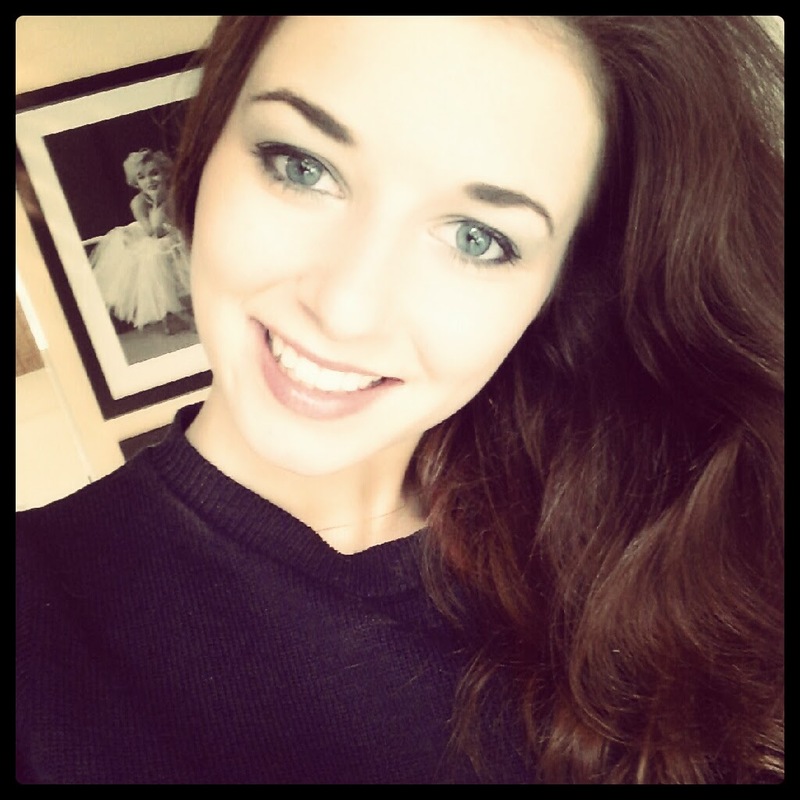 So there you are guys, do any of you have a top tips in keeping those nashers pearly white? 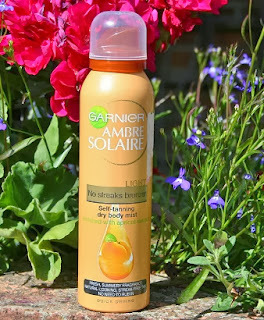 Next Post The Best Shower Gel Ever?